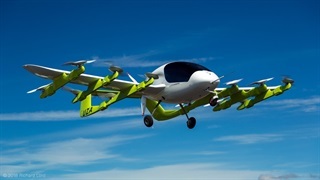 Minibus taxi industry association Santaco is buying a quarter of major taxi financier SA Taxi in a R1.7 billion deal. SA Taxi has a non-performing loan ratio creeping up to 18%, and says taxi operators are having a tough time with high fuel and vehicle prices. Santaco hopes to help operators be better at repaying their loans – and says it will use the profit that makes it to professionalise the industry. 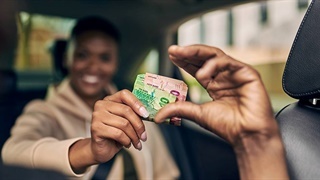 Minibus taxi operators who fail to repay their loans with one major provider of financing to the industry will soon have to answer to their peers, thanks to a landmark deal between SA Taxi and Santaco, the SA National Taxi Council. Santaco will buy a quarter stake in SA Taxi, that company's listed parent Transaction Capital announced this week, in a R1.7 billion deal mainly financed by Standard Bank and Futuregrowth Asset Management. The council will not put up any of its own cash. "In recent years, persistently difficult economic conditions combined with high minibus vehicle prices and escalating fuel costs have placed strain on the minibus taxi industry," Transaction Capital told its investors. Petrol prices increased on average 12%, diesel prices by 16%, and after the increase in VAT a typical taxi now costs R435,000 compared to R350,000 just four years ago. SANTACO is proud to announce that it has bought 25% shares in SA Taxi Finance, a subsidiary of Transaction Capital. This acquisition makes provincial structures of the taxi industry direct shareholders and beneficiaries in the transaction. With Santaco as a major shareholder, though, the rate of non-performing loans may change. 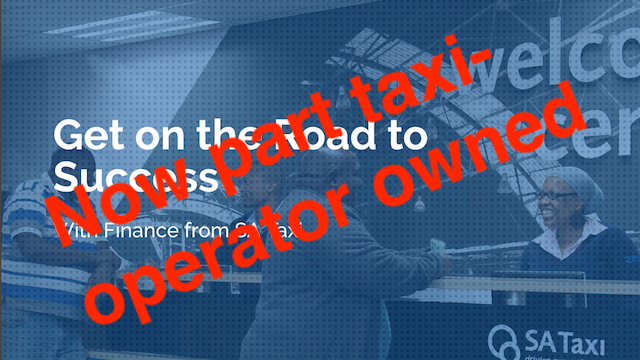 "We are trying to make the business of a taxi operator viable to himself, and then he would be able to meet his financial obligations," Santaco president Philip Taaibosch told Business Insider South Africa. "We believe that in a very short time, that situation [of increasing non-payment of loans], things will change." As of September, SA Taxi had 30,671 taxis on its books, with a loan value of R9.4 billion. SA Taxi's clients are on the high end of the risk spread; 8 out of 10 of its clients are "deemed unsuitable for bank finance" it says. However, in part because it repossess taxis, refurbishes them, and sells them to new clients, it is very confident it can keep its credit losses well below 4%. That ratio is expected to drop dramatically if the taxi industry ever receives the kind of government transport subsidies Santaco has campaigned for tirelessly. 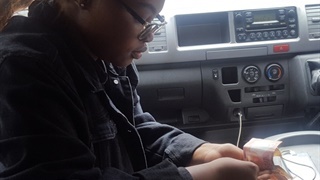 If Santaco makes money out of the SA Taxi deal, it would invest such profits in various driver-training and safety campaigns, said Taaibosch, perhaps extending its campaigns to commuters too, as part of a drive to professionalise the industry. Safety is a particular focus of those campaigns.